We all remember Michael Jackson as the king of pop whose death shook the world and left us longing for more of his work. He had always been the talk of the town not only for his art but also for his fading skin color. This, coupled with multiple plastic surgeries, could make anyone believe that he wanted to look less like himself, and more like someone else. The discussion over his appearance is complicated, just like his life, but there are a few things that we can clear up in this article. In recent pictures released from a Hawaii vacation, Prince Michael, the king of pop’s biological father, is seen with a white patch that is consistent with vitiligo, the same skin disorder to which Michael Jackson attributed his perpetually lightening skin. Contrary to popular belief, Michael Jackson did not bleach himself white. The change was the result of vitiligo. Jackson began battling the chronic skin disorder (as confirmed by, Dr. Arnold Klein, his dermatologist) sometime around the release of Thriller, in 1982. At first, he covered the patches of pale skin with make-up to balance out their skin tone. By the early 1990s, the change in his appearance was more than obvious. The transition, which started about a decade earlier, was completed. Once the patches were just too much to easily hide with makeup, Jackson started using Benoquin Cream, tubes of which have been found in his house when he died in 2009. When the controversy over his skin color hit its zenith, Jackson sat down for a live interview with Oprah Winfrey on February 10, 1993. Jackson spoke openly about his condition in the interview and said it ran in his family. The interview reached to 90 million people around the globe and set a record for television’s most-watched interview. 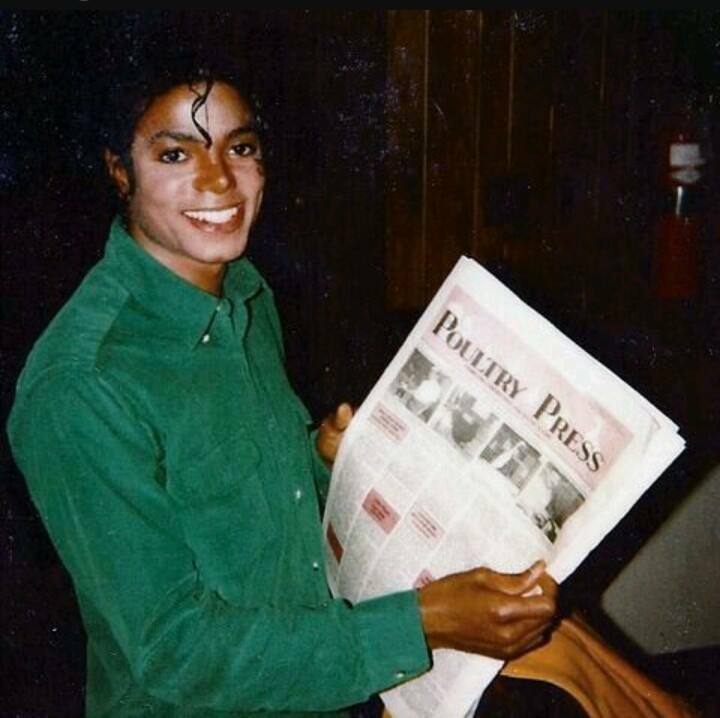 Since many of the viewers didn’t know anything about vitiligo then, they thought him to be making up a story, thinking “he doesn’t want to be BLACK”. After his death, Michael’s autopsy report confirmed that he had vitiligo. His skin was found to have reduced (though not absent) melanocytes. The report stated a “focal depigmentation of the skin”. Generally, depigmentation occurs on one or a few areas of the body. In Michael Jackson’s case, there were 5 affected areas. He also reportedly suffered from Lupus which made him lose pigmentation sooner than others. After his death, Gino Brando also revealed that before Michael had depigmentation therapy, he was blotchy all over. Now, he was so white that he would burn at even slight exposure to the sun. He had to always carry an umbrella with him or wear a hat in the sun. Karen Faye, Michael´s long-time makeup artist noticed his vitiligo more than anyone else. “It was on the right-hand side of his face, down his neck and also on the back of his hand,” he confirmed. In the beginning, Michael used darker makeup to cover that, but then it got more and more difficult to make those white patches match the color of the rest of his skin. Now, he would have to go to lighter and lighter and lighter with makeup. “I am proud to be a black American. I am proud of my race. I am proud of who I am. I have a lot of pride and dignity,” Michael Jackson told Winfrey in the interview. He loved the natural color of his skin but was trying very hard to cover up two skin disorders that had plagued him since his early 20s: Vitiligo and Lupus. Michael was undoubtedly an incredibly talented performer. But, imagine him as a young man when white spots started to appear on his skin. He was likely embarrassed and probably did not know precisely what was happening. All he could do is speak his heart out. To deal with the very public and cruel opinions of others must have been overwhelming. Trauma drives addiction. Media and those who judged him unknowingly contributed to his eventual addiction to cosmetic surgery, prescription drugs, and ultimately his early death. Michael and his vitiligo story may make us feel sad now, but it compels us to complete a significant task he left unfinished – educating more and more people about vitiligo. One of the legacies Michael Jackson left behind is the truth about human life that we all are black, we all are white, we all are connected, and we all are one. Greetings! Very useful advice within tis article!